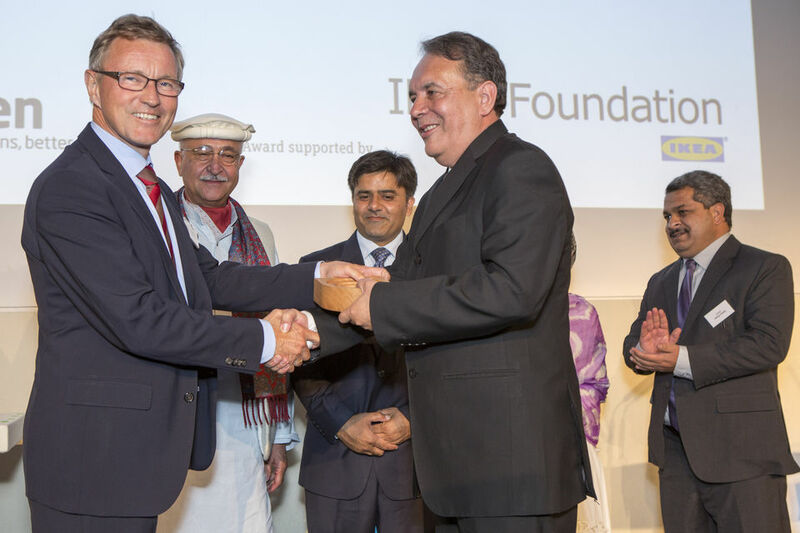 Trusts and foundations are crucial to Ashden’s success, allowing us to reward and support pioneering enterprises and organisations in the UK and developing world. Ashden now has over 200 award winners around the world, all working to improve access to clean energy or clean modes of transport. Together, we are mitigating climate change, providing greater access to affordable clean energy, and improving health and livelihoods. We continue to support our ‘alumni’ for several years to ensure they are growing and increasing their impact. Trusts and foundations typically fund an Ashden Award or provide a grant for our international or UK programme work. Through our fast-growing LESS CO2 programme, we have worked with more than 200 UK schools to help them reduce their energy bills and introduce students to the concept of sustainability. Grant funding allows us to continue our effort to accelerate the transition to a better, low carbon future. Ashden maintains the highest standards of stewardship and you can be confident that your grant is well managed and making a real difference. We are especially interested in working with funders on a longer-term basis, forming a lasting partnership that can make more of an impact. What we look for in our environmental grantees is organisations that are genuinely helping to build a sustainable future. Ashden is playing an important part in making that transition possible.